The Niagara Parks Commission is pleased to welcome a new family-friendly, educational exhibit “Wild Ontario – A Celebration of Ontario’s Biodiversity,” that will be taking place at the Niagara Parks Butterfly Conservatory from Saturday, April 29 to Sunday, June 11. Visitors will be introduced to various fascinating species of mammals, amphibians, birds, fish, reptiles and invertebrates, all native to this province. Interactive and bilingual displays will explain Ontario’s three different Ecozones: the Hudson Bay Lowlands, the Ontario Shield and the Mixed Wood Plains, as well as the unique regions and habitats that can be found within these Ecozones. The exhibit also highlights which habitats and species are at risk and how concerned citizens can help make a difference in protecting and preserving these natural sites and species. Presented by Little Ray’s Reptile Zoo, the Wild Ontario exhibit builds on Niagara Parks’ planned Begin Here Ontario 150 celebratory initiatives and was developed and supported by the provincial government’s Ontario 150 funding program. The new exhibit celebrates the environmental history and diversity of Ontario and showcases the wide variety of native species found within the province’s unique ecosystems and natural habitats. With the help of displays and live animal demonstrations led by staff from Little Ray’s Reptile Zoo, the exhibit will provide unique anecdotes and thought-provoking facts about species that may be found in your own neighbourhood, as well as the important role many of them play in maintaining and preserving our environment. After visiting the Wild Ontario exhibit, you may discover a newfound appreciation for the many creatures, some familiar such as the common toad and others a bit more unusual, such as the yellow-spotted salamander, that call this province home! 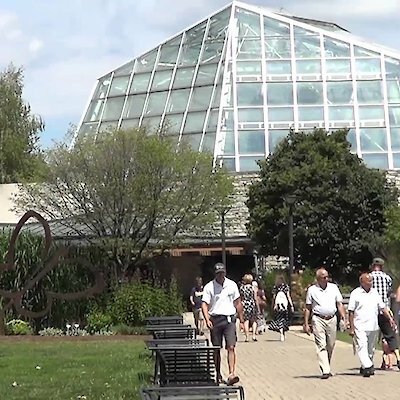 The fully accessible Niagara Parks Butterfly Conservatory is located at 2565 Niagara Parkway, on the grounds of the Niagara Parks’ Botanical Gardens and School of Horticulture. The new exhibit is included with regular paid admission. 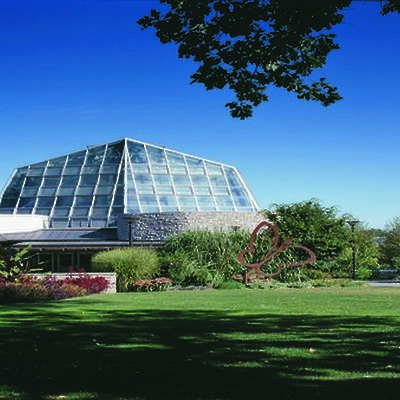 For detailed information on the Conservatory, its admission and parking rates, as well as Niagara Parks’ attraction packages, please visit www.niagaraparks.com. NPC is committed to a vision of Ontario’s Niagara Parks as one that Preserves a rich heritage, Conserves natural wonders, and Inspires people world-wide. Founded in 1885, The Niagara Parks Commission is an Operational Enterprise Agency of the Ministry of Tourism, Culture and Sport. Its mission is to protect the natural and cultural heritage along the Niagara River for the enjoyment of visitors while maintaining financial self-sufficiency.